Langtang Tamang Heritage Trek has been gaining the popularity among outsiders who seek to travel which holds the unique cultural heritage and from where one can experience and witness out the beauty of nature in Himalayas of Nepal. This well-known trekking route is at Langtang Region which is situated 32 km north of Kathmandu valley. The place also consists of National Park – Langtang National Park, is regarded as the first Himalayan national park in 1971. But, the trek doesn’t pass through this national park. This trail was initially set up as a community-based tourism project to give local access to income from tourism. While there are now private lodge along the trail as well as several homestay. …an amazing trekking offers various places with different cultural groups performing poles apart lifestyle within Langtang Region of Nepal. This is the newly opened trekking route and also regarded as one of the off beaten trekking routes of Nepal. Tamang Heritage Trek delivers every possibility from every angle during the trek to observe the nomadic culture and tradition. Along with such outstanding trek also offers with the picturesque view of mountains, rhododendron forest, and charming other natural gems. Tamang Heritage trek also leads through the numbers of delicate settlements and the villages like Gatlang, Goljung, Thuman, Briddhim, etc. on the way which are famous for Tamang culture and tradition. 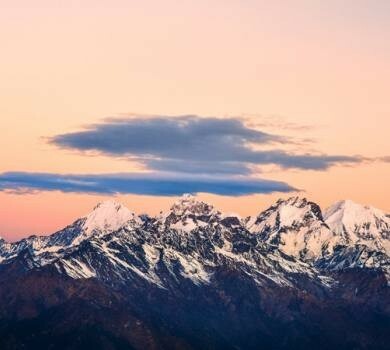 Many of the places hold incredible viewpoints to observe the mesmerizing scene of mountains like Langtang, Kerung, Ganesh Himal and Sanjen ranges. This will be the perfect trekking package if someone is looking for cultural and tradition interaction within the mountains of Nepal. 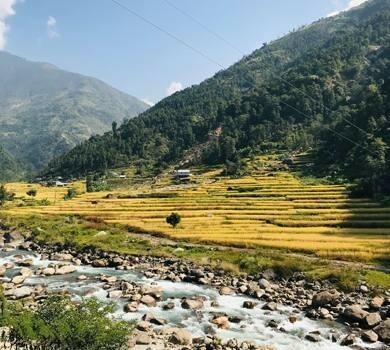 The day starts with the scenic drive from Kathmandu to Syprubesi (1503m/4932 ft) passing along with mighty Trisuli River, terraced green hills and lush forest make the drive pleasant and exciting, Gatlang (2238m/ 7340ft) the village offers with Tamang culture and the beautiful view of nature, Tatopani (2607m/8554 ft) will be much more interesting where hot spring bath can be done along with experiencing Tamang traditional lifestyle, Thuman (2328m/ 7638ft), Briddhim (2229m/ 7312ft) and Sherpagaun (2563m/ 8321ft) are other places which deliver with the panoramic view of mountains and Tamang traditions. With the magnificent views of snow-capped mountains in a tranquil environment and Tamang heritage, Langtang Valley (3430m/ 11254ft) presents its uniqueness to make the trek memorable, Kyanjin Gompa (3830m/12566ft) where one can taste fresh yak cheese and have a close view of Mt. Langtang. Passing through one of the passes Kyangin Ri (4773m/ 15660ft) to Ghoda Tabela (3030m/9941ft) will be adding the excitement in Tamang Heritage Trek. All these places hold their unique identity in every feature. The best time for participating in Tamang Heritage Trek are Autumn (September to November) and Spring (March to May) and nevertheless January, February and December are also prefer time to explore Langtang region. Those who are willing to explore Nepal and its cultural heritage in a group or with families than this 14 days Langtang Tamang Heritage Trek will be one of the jubilant trips to spend one’s leisure time in the Himalayan Region of Nepal and as per interest and time frame, the trek can be customized. The team of Massif Holidays will always present to make the trip wonderful and remarkable with better services. If you need to ask about this trip please feel free to contact us. Massif holidays always ready to help to design your holidays in Nepal. UNESCO World Heritage Site tour in Kathmandu –Swyambhunath, Boudhanath, Pashupatinath, and Kathmandu Durbar Square. Scenic drive from Kathmandu to Syprubeshi. Exploring the Cheese factory & Kyangin Gompa. Cultural interaction with fun-loving Tamang people. Stepping into the dramatic landscape of Langtang Region. Home Stay with locals with their traditional and cultural way. Natural hot spring shower at Tatopani. Magnificent view of Langtang Himalayas & Langtang Glacier. More chances to encounter with endangered species like Red Panda, Common Langur, and honey hunting places. 13 Breakfast, 10 Lunch and 11 Dinner. Day 03: Drive to Syprubeshi (1330m). About 7 hours. Overnight stay at Guest House. Day 04: Trek to Gatlang (2228 meters). About 6 hours. Overnight stay at Guest House. Day 05: Trek to Tatopani (2607meters). About 6 hours. Overnight stay at Guesthouse. Day 06: Trek to Thuman (2328 meters). About 5 hours. Overnight stay at Guest House. Day 07: Trek back to Briddhim (2229 meters). About 5 hours. Overnight stay at Guest House. Day 08: Trek to Sherpagaun (2563meters). About 5 hours. Overnight stay at Guest House. Day 09: Trek to Langtang Valley (3430 meters). About 6 hours. Overnight stay at Guest House. Day 10: Trek to Kyanjin Gompa (3830 meters). About 4 hours. Overnight stay at Guest House. Day 11: Early morning hike to Kyangin Ri (4773meters) & Trek back to Ghoda Tabela (3030 meters). About 7 hours. Overnight stay at Guest House. Day 12: Trek back to Syprubeshi. About 7 hours. Overnight stay at Guest House. Day 13: Drive back to Kathmandu. About 6 Hours. Overnight stay at Hotel. All your standard Meals during the trek (Breakfast, Lunch, and Dinner). Professional license holder English speaking guide (if required with other nation’s dialect for Langtang Valley Trek). Public transportation from Kathmandu – Syprubeshi & Dhunche - Kathmandu (In some case Private transport is available as per one’s interest). Extra additional Breakfast, Lunch, and Dinner throughout the trekking package. Additional sightseeing in the historical and cultural sites. Luxury accommodation (4/5 star category hotels in Kathmandu). The listed optional facilities for the trekking within Nepal are not included in the travel cost. As per guest choice and demand for extra facilities or services some amount will be added to the trekking package cost. You can include the other extra facilities and services in your travel package consulting with the crew member of Massif Holidays. 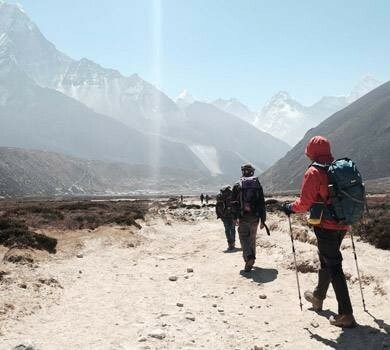 The tailor made itinerary of the respective trekking package is organized by the expertise of Massif Holidays with undertaking and going through with distinct favorable routes that are followed by the different departure dates throughout 2019 and Nepal visit year 2020 (can also plan and book trip for the near future). The different departure dates can be provided as per traveler’s interest and time frame. The cost which is mentioned for each and every enlisted departure dates are guaranteed but as per group travelers and joining trip the cost can be varied. Experience and witness the Himalayan beauty of Nepal in your next travel bucket list. Other extra arrangements from the team of Massif Holidays: - Customized Itinerary as per the specific requirements. For this, please contact the expert team of Massif Holidays as per interest. Natural calamities, that are beyond the control can hamper one’s planned trip. During these kinds of issues, the team of Massif Holidays will be getting through the possible solution that can help to get back in the trip. Due to poor visibility or bad weather may one cannot get the perfect view of nature. The trip being gets delayed for some hours or for some days because of nature and weather uncertainty, in such cases, teams of Massif Holidays help to manage other various days activities, pre-itinerary with any trekking routes, etc. One needs to bear all expenses if need to stay at any place due to cancellation or delay during the trip.